Last week, on a day when I’d been planning to swim, Steve asked if I wanted to do a TRX workout with him instead. I shrugged and said that yes, sure, that sounded good. He asked if he had talked me out of swimming. I shrugged again. “I’m not really training for anything, which means I can kinda do whatever I want,” I said. As I said it, I grinned, and felt like a huge weight had been lifted off my chest (there’s a pun in there somewhere … ). I was sold on stand-up paddleboarding the first time I headed out on the river with my ski-patrol friend Buck. But when Steve and I went to Hawaii and got the chance to paddle in heavy winds, 5-foot swells and other interesting and challenging conditions, I truly became addicted. There’s something meditative about the quick, even strokes, and something peaceful about balancing on the board. I’ve been hitting the water at least once a week since I’ve gotten home, and am focusing on learning new strokes, like the nose draw and cross-nose draw, to turn. It’s not only a relaxing and peaceful way to get a workout; it bends my brain in ways it’s not used to moving. Plus, is there a better way to decompress after a long day than floating down a river? When I started gearing my workouts toward getting ready for the ski season last year, a great trainer we worked with in Virginia Beach introduced us to rotational jump squats, which are pretty much what they sound like: You start in a squat, jump into the air, and rotate 180 degrees to land facing the opposite direction. They are absolute murder, and the fitness gains I made almost immediately made me realize that I rarely work out my transverse plane, or the plane that deals with rotation (think swinging a golf club versus doing a sit-up or push-up). I’m convinced that adding rotational and lateral exercises to my repertoire made my legs stronger and springier, which has motivated me to do add more such exercises: —side squats, skater hops, lateral box jumps and the like. Try working a few sets of the above exercises into your own lifting workouts. I doubt you’ll be disappointed. I’m not in half-marathon shape or anything, but I’m back to being able to run five or six miles easily and happily. I’m not drawn to do anything except for set out on peaceful runs along Sligo Creek Trail every other day. Well, hello springtime! 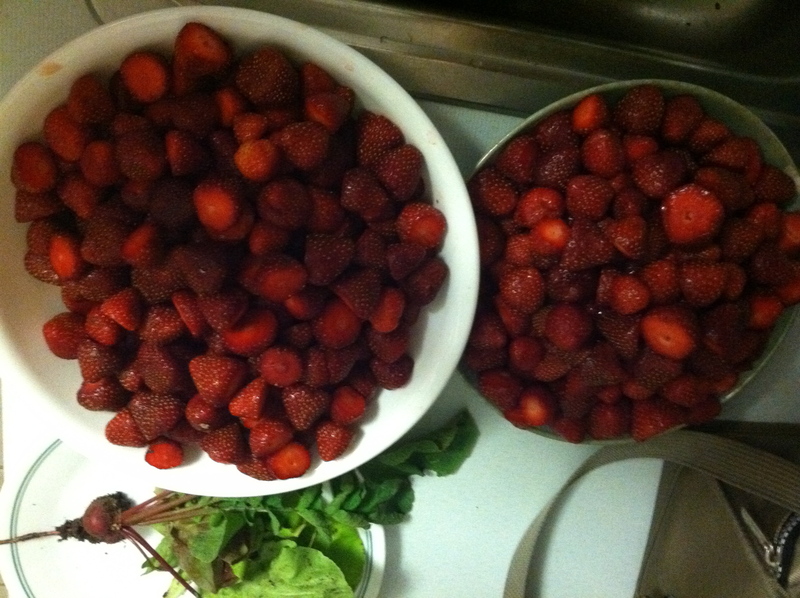 There is no better reward for a hard workout than stopping at the farmers market or at my beloved Norman’s Farm Market for fresh strawberries or sugar snap peas. OK, maybe there are a few better rewards. 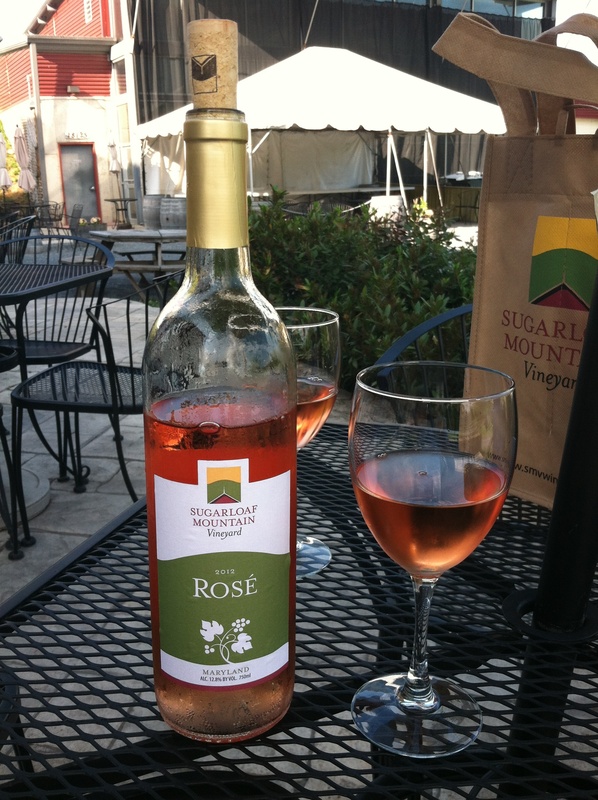 Like a chilled glass of rosé at Sugarloaf Mountain Vineyard after a lovely birthday hike last week. Thanks for the motivation reminder to get out and try paddleboarding! Hubz has done it once and fell in love with it. Now we just need to plan it.